MIDI (Musical Instrument Digital Interface) is a technical standard that describes a protocol, digital interface and connectors and allows a wide variety of electronic musical instruments, computers and other related devices to connect and communicate with one another. Read more about MIDI on Wikipedia. All G-Stomper apps, G-Stomper Studio, G-Stomper VA-Beast and G-Stomper Rhythm, come with support for MIDI over USB (host + peripheral) and MIDI over Bluetooth LE (host). Depending on your device and Android version, some of these options might be not available (e.g. MIDI over Bluetooth is only available on Android 6 or higher). Detailed instructions for the particular connection types are provided in the Online MIDI documentation or the Printable PDF. Your Android device must support USB host mode. Most modern MIDI controllers/keyboards can be connected directly over USB using the USB adapter cables mentioned above. 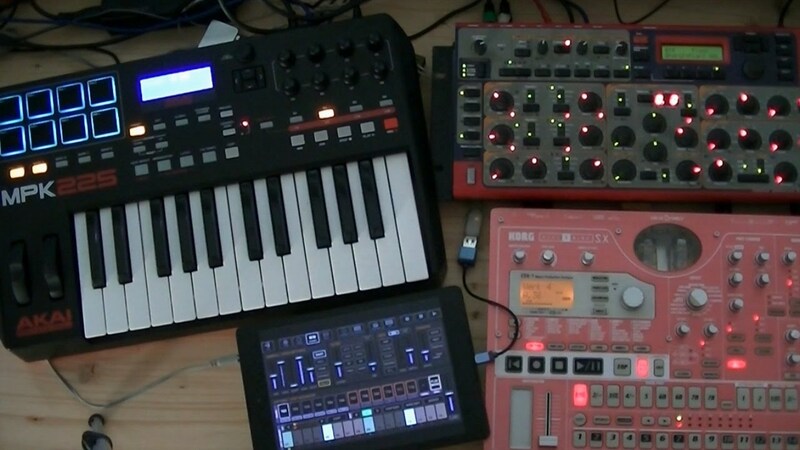 Note: A good practice is to use self-powered MIDI controllers (which can be used with an external power supply) or controllers with a special low-power mode (like the Akai MPK225) to minimize the battery strain on your Android device. To connect Non-USB MIDI hardware equipped with a classic 5 Pin DIN connector, an USB class-compliant MIDI Interface is required. Good alternatives for the ESI MidiMate II are the TIE MIDI 1i1o or the Roland UM-ONE mk2. All G-Stomper Apps provide full round-trip MIDI over USB and Bluetooth LE. For further details, please check out the Online MIDI documentation or the Printable PDF.